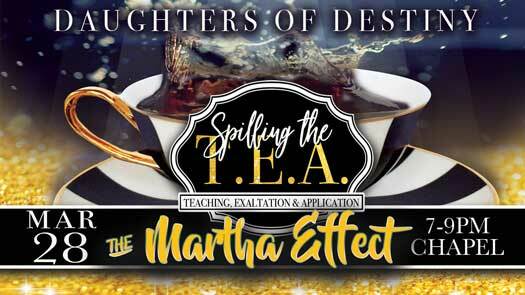 Spilling The Tea: The Martha Effect will take place onMarch 28 at 7pm in the Chapel. Registration is free, but space is limited. Free childcare will be provided.